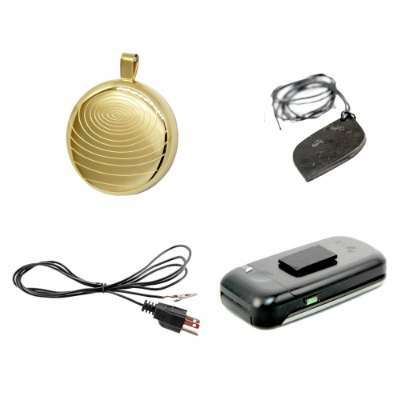 You can protect yourself from the dangerous EMFs you may encounter throughout the day by wearing a Shieldite Pendant. 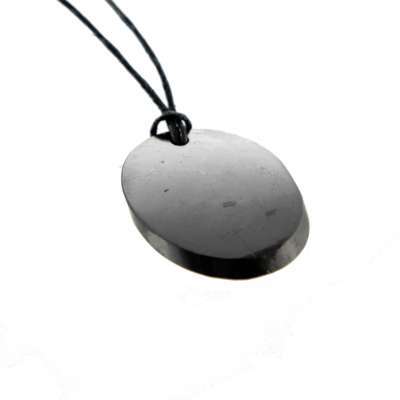 Shieldite EMF Protection Pendants work by transmuting EMFs, harmonizing the energy and absorbing the harmful positive ions EMFs create. This series of protection methods renders the EMFs harmless effectively shielding you from the negative effects. 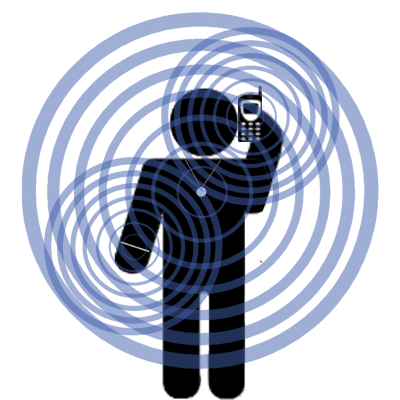 Shieldite works on all types of EMFs including RF, ELF and microwave radiation. Make your cell phone safer by adding a Shieldite Cell Phone protector. Cell Phones produce some of the most harmful EMFs due to their strength so additional protection is needed to neutralize the harmful effects. Shieldite Cell Phone Protectors attach easily to your cell phone to help reduce the harmful cell phone radiation. Shieldite is most effective when closer to the EMF source which is why adding these small Shieldite Cell Phone Protectors can have a dramatic effect. 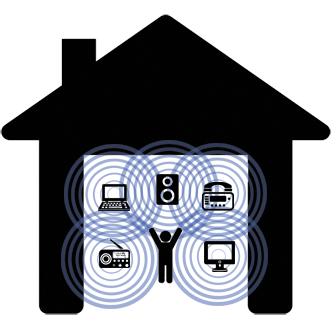 Make any room or even your entire home into an EMF safe space by strategically locating Shieldite around it. Larger Shieldite pieces can protect larger areas and can help completely neutralize even the strongest EMFs created by Smart Meters, WiFi, cell phone towers and other stronger than average EMFs. 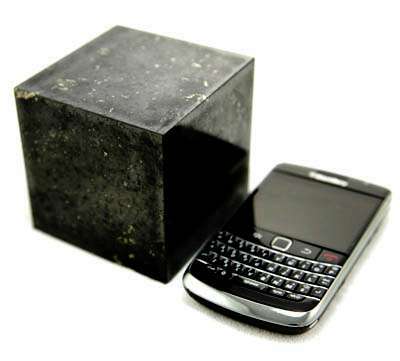 Place Shieldite pyramids, cubes or bricks near EMF sources for the best protection. Shieldite provides the best EMF protection available; it is the only EMF protection device that transmutes EMFs rendering them harmless. Shieldite is a very rare mineral which is not to be confused with other regular carbon based minerals. Shieldite includes the rare fullerene carbon molecules forming in clusters of 60-70 molecules. Shieldite is actually electrically conductive which allows it to interact with the EMF’s and transmutes the EMF’s in the surrounding area as well as providing absorption of the harmful bi-products. Like carbon filters removing contaminates from water, Shieldite alters EMF waves in the surrounding area to a safe wavelength for the body cellular structure. Why Is Shieldite™ The Best Way To Protect From EMFs? There are several main ways to protect from EMFs most of which just focus on repairing the body and cells from the damage that has already occurred. What makes Shieldite™ unique is it stops the EMFs from damaging us in the first place. Doesn't it make sense to stop the source of the problem before it becomes a problem for us? This is what Shieldite™ does by transmuting the EMFs to a state which is compatible with our bodies. When we change the EMFs like this they pass by us like they don't exist at all. Every environment has a different level of EMF exposure and each person has a different sensitivity to EMFs. If your EMF exposure is low you many only need a small amount of EMF protection but if you are experiencing high EMF exposure you may need a more powerful solution. You can protect yourself against EMFs in several different ways and using a combination of Shieldite and Iyashi Products that can yield the best results. Transmuting the EMFs like Shieldite™ does is by far the most effective and by strengthening the body it can further help you buffer EMFs and even repair past damage. 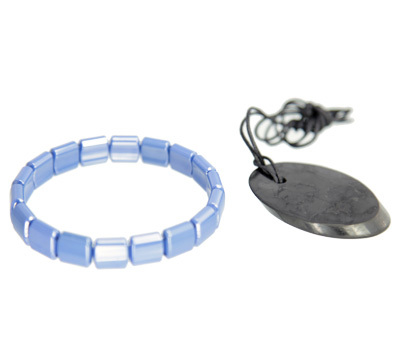 Iyashi bracelets and pendants can be used in conjunction with Shieldite™ to provide even stronger EMF protection. How Much EMF Protection Do I Need? How much EMF protection you need depends on a variety of factors including the strength, type and length of exposure to the electromagnetic radiation. You will need more protection as any of these factors increase. To help you figure out how much EMF protection you need we have provided our recommendations for the main different types of EMF environments. 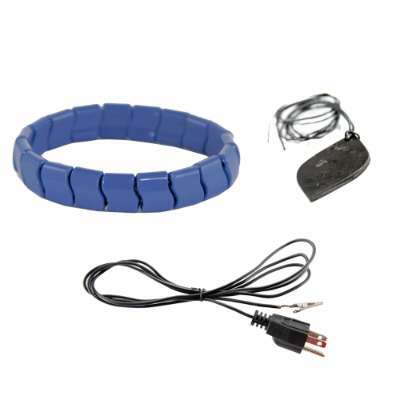 This combination of products harnesses the effective transmuting properties of Shieldite along with bio-field strengthening and negative ions provided by Iyashi Bracelets and/or Pendants. These different EMF protection methods are designed to work synergistically together providing the best personal EMF protection. We recommend this as the essential base for protecting yourself against EMFs. 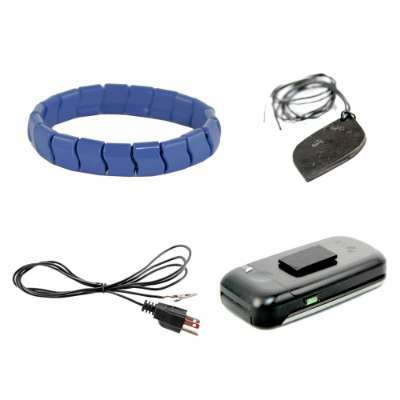 This combination uses the same base EMF protection as “Every Day EMF Protection” but adds an additional Shieldite cell phone protector attached directly to your cell phone (or cell phone case) as Shieldite is most effective when closer to the source of the EMF and helps reduce the harmful EMF effects next to your head. Most office or work place environments that have lots of electronics around. Living room with electronics such as TVs, video game systems etc. Bedrooms in close vicinity to any electronics or wifi. Home “wall hotspots” typically where there is lots of wiring or circuit breakers. Recommendations: Shieldite Pendant + Iyashi Bracelet or Iyashi Pendant with additional small to medium Shieldite pieces (tumbled stones, small pyramids or cubes) placed next to electronic devices. Optional: Grounding plug to keep Shieldite pieces to keep them continuously grounded. 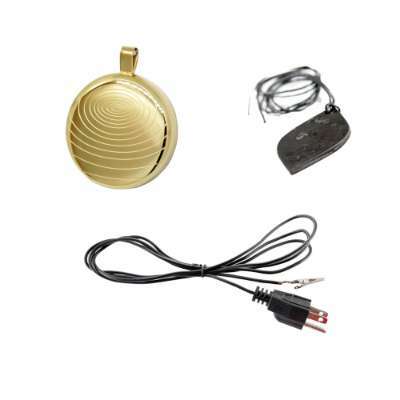 This combination of EMF protection devices incorporates the base “Every Day EMF Protection” along with placing appropriately sized Shieldite pieces near the electronics around your house the produce the strongest EMFs. This is especially effective indoors as Shieldite absorbs the positive ions these electronics produce and which would normally accumulate increase the negative effects of the EMFs. The size of the pieces used should be based on the amount and strength of the EMFs the electronics produce. If there is a small number of electronics you may only need to place a small Shieldite piece near them compared to if you have a larger volume or strong electronics in one area you will want to use medium sized pieces. Placing Shieldite pieces near your electronics also helps make a lower EMF environment for everyone in the area. Recommendations: Shieldite Pendant + Iyashi Bracelet or Iyashi Pendant with additional large Shieldite pieces (large cubes or bricks) placed next to the electronic devices preferably kept permanently grounded. When you are near the strongest EMFs for extended periods of time you need to use the largest pieces of Shieldite to provide sufficient protection. Many who are EMF sensitive became EMF sensitive due to already being in high EMF environments which is why they also need this additional protection. The largest Shieldite pieces protect the largest area and due to their sheer volume can fully handle transmuting even the strongest EMFs. We high recommend keeping the large pieces grounded so they are always working at peek performance. 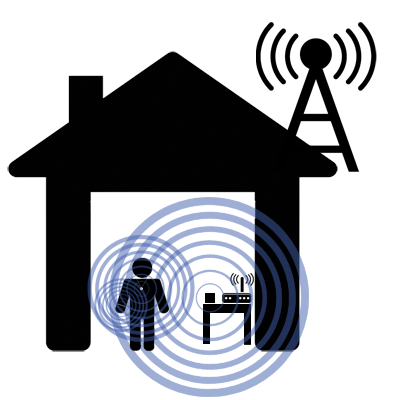 All EMF situations are unique and there is no exact formula to provide the perfect amount of EMF protection. We suggest you try to assess your environment and see what situation you closest fall into. Making a list of the different types of EMF sources in your common areas can help you figure out how much EMF exposure you are really experiencing. 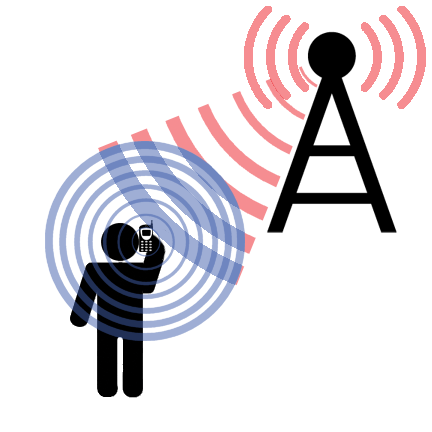 You can always contact us for our expert recommendations. Some people are very sensitive to EMFs and notice the adverse effects as soon as they enter any electromagnetic field. This is usually because of a combination of factors including their natural body make up and/or having a weakened immune system. Anyone who is naturally EMF sensitive should always use a combination of Shieldite™ and Iyashi products for the best results. Also if you have had serious health conditions or a weaker immune system you are also more susceptible to EMFs and should also be using Shieldite™ and a Iyashi product. This way you will get the full range of ways to protect against EMFs by preventing them and repairing your cells from the damage already created. Not using a laptop on your lap. Stand away from any kitchen appliances you use. If you have a speaker system keep the subwoofer as far away as possible. Check where your circuit breakers in the house are and make sure no one sleeps directly next to them. Don't hold hair dryers close to your head. Stay away from overhead power lines. Try to use a hardwire internet rather than wireless. Use less wireless devices or 3G on phones. Use speaker phone on cell phones rather than holding them directly next to your head. Keep alarm clocks several feet away from you when you sleep along with cell phones. This list could go on indefinitely but it gives you a small sample of ways to reduce your EMF exposure. You can reference our "EMF page" to learn about the EMF strength difference electronics give off. Shieldite Works in two very unique ways to combat the negative effects of EMFs. Transmute harmful high frequency EMFs to resonate at the natural Schumann frequency. Absorb positive ions which electronics generate as a byproduct removing them from our environment. Shieldite is the only EMF protection device that has this dual effect essentially acting as a black hole for the negative effects EMFs create. There are 2 types of magnetic fields, natural magnetic fields and artificial electromagnetic fields which we refer to EMFs that are harmful to the human body. The Earth and our human bodies produce their own low level magnetic field (7-10Hz), which by no coincidence is about the same frequency as the earth referred to as the Schumann resonance at 7.83Hz. New scientific research is even suggesting that each cell in our bodies has its own magnetic field which regulates the cell normal functions. Artificial electromagnetic fields are produced by every electronic device, typically which run at 50-60hz for most electronics and can be thousands of times stronger in the case of radio and microwave frequencies. When these high frequencies expose themselves to our cells they disrupt their natural magnetic field causing the cell to degenerate and malfunction. As our human bodies are designed to align with the earth's natural magnetic field Shieldite™ transmutes the electromagnetic fields created by electronics to the same frequency as the earth's magnetic field rending them harmless. It will not stop the EMFs rendering your electronics useless but just changes the resonance of their electromagnetic field to a compatible wave length for our bodies. 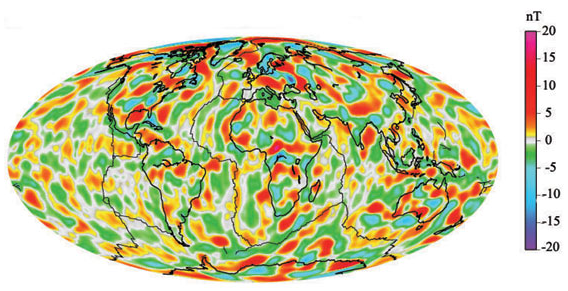 The earth's magnetic field is not a constant and ranges through different levels of intensity and frequency as you can see in the diagram. Shieldite™ is naturally calibrated to the Schumann frequency balancing all harmful EMFs. Another negative byproduct of electronic devices is positive ions. Despite the name “positive ions” are not beneficial for us; they are in fact the counterpart to “negative ions” which are the natural anti-oxidants of the air. When we have multiple electronic devices in our homes or office high concentrations of positive ion are generated. These positive ions are part of the reason why EMF’s have the negative effects we experience. With no place to escape they just keep accumulating to higher and higher concentrations. This is why some of the highest positive ion readings are found in office buildings. When we leave Shieldite in a room with a high concentration of positive ions Shieldite acts as a magnet absorbing these positive ions leaving only a surplus of the beneficial negative ions. When Shieldite is grounded these absorbed positive ions are then discharged into the earth. This is why Shieldite pieces are most effective when placed near electronics, ideally having Shieldite grounded at the same time so it is constantly discharging improving its performance. 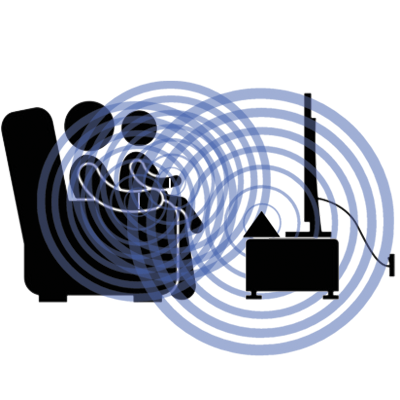 All electrical appliances produce electromagnetic fields which are damaging to our health. Typical electric appliances run at 50-60hz which is significantly higher than the earth's and our bodies magnetic fields which range between 7-10hz. When EMFs come within proximity to our bodies they cause damage to the cells by disturbing their magnetic field. The stronger the magnetic field and the higher the frequency the more damage will occur. Higher frequency waves start occurring in Cell phone transmissions, radio waves, microwaves, wi-fi and other similar devices like smart meters which are much more dangerous than regular electronics. We can measure EMFs in units called gauss, studies have shown that anything above 3 milli gauss will start to have negative physiological effects on the human body. Also the gauss readings get exponentially higher the closer you get. For example if you have a reading of 4 milli gauss at 2 feet away you will have a reading of 16 milli gauss at 1 foot away and a reading of 256 milli gauss at 6 inches away. Below we have prepared a table of common household items and rated them on a scale of 1-5 on how powerful and dangerous the electromagnetic field the device creates. Since at 3 mill gauss damage starts to occur on our body we grouped the devices by how close you have to be to have 3 milli gauss or higher exposure. Remember that Shieldite™ transmutes the EMFs to a harmless form and does not stop then so you will still get a reading on your gauss meter as the gauss meter measures the intensity of the EMF and not the frequency. 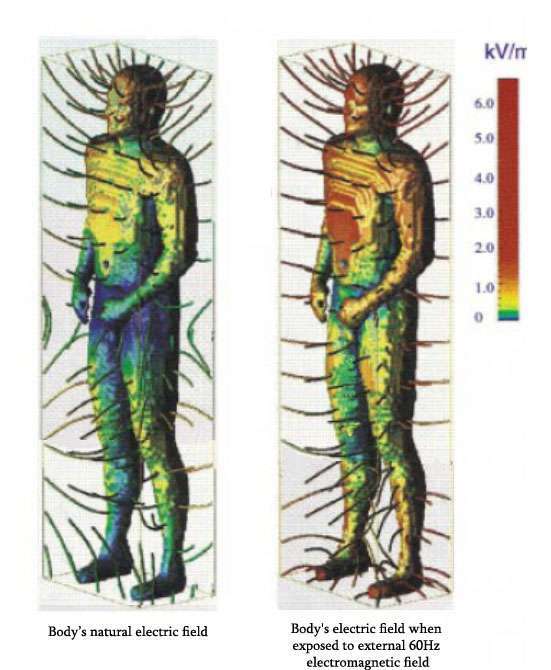 When the body is exposed to EMFs like in the picture above the electrical field of the body is disrupted causing our cells to function incorrectly. How Do EMFs Impact Our Body. The first thing to understand is our bodies have their own magnetic fields. Our bodies conduct electricity through neurons and muscles, sending small electrical impulses to the brain, the heart also generates these electric signals to keep it beating. New studies are even showing that each individual cell has its own magnetic field which builds up on our entire framework. When we measure a healthy body we will find the magnetic field has a frequency of about 7-10hz. What is interesting is when the earth's magnetic field was measured in the 1950s it frequency was recorded at 7.83hz and has been changing slightly over time. You can see that our bodies and the earth's magnetic field operate at the same frequency along with all other living things on this earth. In North America all electronics operate at 60hz and in Europe they operate at 50hz. These frequencies are severely incompatible with our bodies so when we enter their magnetic fields they disrupt our own. Our own bodies magnetic field is at a very low level and therefore can be disrupted relatively easily. Studies have shown when we come in contact with stronger EMFs they disrupt each of our bodies cells magnetic fields and increase the bodies voltage. When your cells magnetic fields are altered by strong EMFs they cannot function correctly. This is similar to trying to use a TV designed for European outlet being used in a North American outlet, since the circuits are not designed to run at the same power or frequency ( 50hz compared to 60z) the TV will eventually overheat and burn out. This is the same case with our cells, they are designed to operate with a magnetic field of 7-10hz but when influenced by EMFs their magnetic frequency rises and they start operating at a frequency they are not capable of handling. This can cause immediate symptoms in some people of pain, burning skin, headaches, blurred vision, and making your skin crawl. If it is just a short period of time the body will re-balance its magnetic field and start functioning correctly. The problem occurs with too much exposure or at too high a level of EMFs where the cells get so disrupted they cannot re-balance their magnetic field and continue functioning incorrectly. This is when serious and chronic conditions and disease can start occurring in the body. We are now seeing cancer and tumors being linked to EMF exposure as both these disease are the cause of cells growing incorrectly and uncontrollably. WiFi in Schools is Safe True or False? You have probably seen dozens of different types of devices claiming to protect against EMFs in different ways. This is because there are 4 major different ways to counteract EMFs each working in a different way. 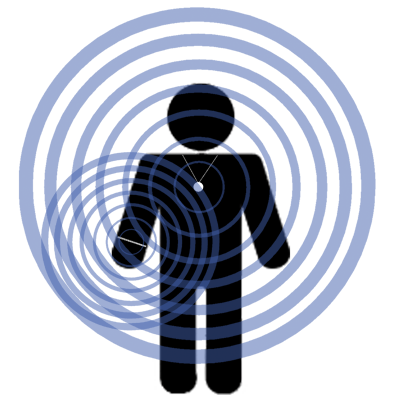 Type 1 ( most effective ) transmuting - These devices like Shieldite™ transmute the EMFs to a harmless state so they cannot damage your body in the first place. This is by far the most effective method as it stops EMFs from negatively affecting you in the first place. They operate much like voltage or frequency converters for electronics that step up or down the levels. 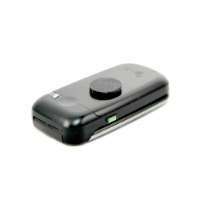 Type 2 - Negative ions products - Products with strong enough negative ionic output can help repair the cellular damage that EMFs cause to the body. As your body is affected by the EMFs they will repair the damage dampening the damage. Your need a strong negative ionic output in the 4000s or higher like our iyashi bracelets or pendants to start receiving these effects. This is an "after the fact" way of protecting against EMFs as you are repairing the damage after it has already occurred. Type 3 - Strengthening Biofield - Natural crystals or products infused with BFIT have frequencies which strengthen and align the bodies energetic fields. This helps the body naturally heal itself. Again the damage has already occurred in your body and this only focuses on improving the body’s natural healing response. Type 4 - Grounding - Grounding does not protect at all against EMFs but like Shieldite™ which needs to be discharged from a buildup of EMFs so does your body. Grounding can be as simple as walking barefoot on grass/ dirt or touching anything that is grounded. If you are using Shieldite™ you will not require this as there won't be any EMF build up in your body. It is important to understand as you do need to ground your Shieldite™! Of course the best combination is to use all these ways to combat EMF s together to receive the best results. This is as simple as using Shieldite™ ( type 1 ) with an iyashi bracelet or pendants ( type 2 and 3) and then grounding your Shieldite™ daily ( type 4 ). Shieldite™ is the best solution for transmuting EMFs because it is always calibrated to the magnetic field of the earth. As we explained in the Technology and Research the earth's frequency is always changing. Older products such as an EMF protection system that plugs into your outlets or USB drives have become less effective as they are set to transmute the EMFs to one frequency. Because they are manmade they cannot calibrate to the changing magnetic field of the earth making them less effective. A lot of these also attract EMFs but do not properly store and discharge them creating EMF leakage hotspots that can be more dangerous than the EMF themselves. Shieldite™ is the final solution for EMF transmuting as it transmutes the EMFs to the current magnetic field of the earth providing you 100% protection. Through its unique molecular structure and BFIT infusion it safely stores the left over charge from the EMFs until you decide to safely discharge it through grounding. Other than Shieldite™ the majority of Iyashi products including the Iyashi Bracelets, Pendants, Wand, and Chakra Stone have strong negative ionic outputs over 4500+ to repair your body against the EMF damage. The key to this type of protection is simply having a strong negative ionic output. Many products just use ionic powder which can be strong initially but decreases in effectiveness very quickly, as commonly seen in silicon negative ion bracelets. Iyashi products are made of solid bio-ceramics which emit strong negative ions for a lifetime. As a double benefit all these Iyashi products also incorporate infusion technology to strengthen your biofield. The most basic form of these products are natural crystals which have specific vibrations or frequencies which align your energetic fields. Crystal healing has been used for thousands of years and has been proven very effective as specific crystals run at certain frequencies aligning different parts of your energetic field. Popular EMF protection pendants sometimes only use rose quartz and sell for upwards of $300 while you can buy the same rose quartz for only $15 elsewhere. Iyashi products are infused with thousands of these different healing frequencies so rather than just getting one which you would find in a natural crystal you receive thousands which will align your entire biofield rather than just a portion of it,. Grounding is the simplest thing to do and should not cost you any money as there is no need to be grounded 24/7 if you are wearing Shieldite™. The simplest way to ground is to stand on grass or dirt barefoot outside. Your house is connected to a grounding rod which if you have copper pipes will mean all your metal faucets are grounding, you can simple touch them and you will ground yourself. Also any metal electric appliances which are plugged in will also be grounded, any of their exposed metal will ground you or your Shieldite™ if touched. All these solutions can actually work better than grounding mats. Grounding mats use copper thread which provides some grounding but are usually not the most effective solution. 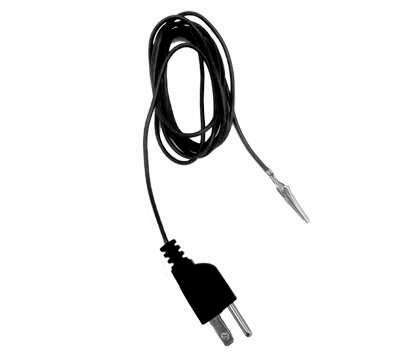 If you are looking at an easy way to ground your Shieldite™ we do offer grounding plugs which can be used to keep Shieldite™ grounded and constantly discharging 24/7. There a lot of videos and grounding products that use a volt meter to show when using their grounding mat the reading drops to zero meaning you are protected from EMFs. This is done by sticking one of the prongs in the ground plug and then holding the other, which will give you a reading of up to a few volts. When you touch the grounding mat your voltage drops down to 0. Remember your body conducts electricity and what the meter is measuring is the difference in voltage between the ground plug ( 0 volts ) and you ( up to a few volts ). When you touch the ground the meter is now using you as a conductor between the ground plug at ( 0 volts ) and the grounding mat ( 0 volts ) which is also plugged into the ground plug, the difference is obviously 0 and that is why the reading drops. Your bodies voltage has not dropped but simply rather than testing your voltage will bypass you and use your skin to act a conductor between the 2 ground sources. Basically this does not mean you are protected from EMFs nor does it drop your body voltage as our bodies are naturally electrical and need this voltage to stay alive. What Is The Difference Between Transverse And Longitudinal EMF? Transverse EMF is harmful to the body and can damage cells and tissues. Examples of transverse EMF is the radiation that comes from a microwave, cell phone, electric clock radio, electric water ionizer, high tension power lines or your fridge. 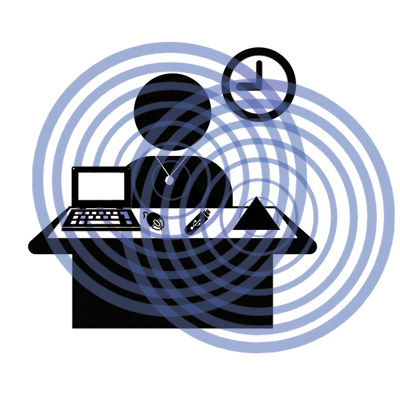 Longitudinal EMF can be better controlled and thus is not harmful to the body. Examples of longitudinal EMF are sound waves, pressure waves, plasma waves and stationary scalar waves. 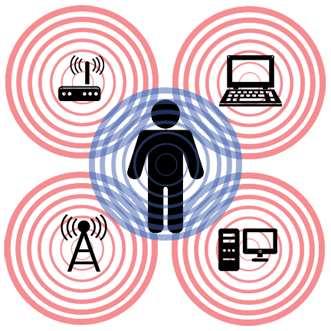 How Will Shieldite ® Protect Me From Transverse EMF's? Shieldite® actually absorbs transverse EMF energies and thus fills up. It needs to be emptied every 24 hours by placing in on a ground such as the base of your kitchen or bathroom faucet for 15 minutes. There is a mechanism that is not fully understood by scientists whereby Shieldite™ actually muddles the transverse EMF's ability to be absorbed into the human energy field, almost negating them. The transverse EMF’s are transmuted and are rendered harmless. Only Transverse EMF's are harmful and cause cell and tissue damage when exposed to the body. These are the type produced by electronics. How Often Does Shieldite® Need To Be Grounded? The small pendants need to be grounded every 24 hours while larger pieces can last up to a week without needing to be grounded. If the Shieldite® experiences higher than normal exposure to EMF's it will need to be grounded more often. What Happens If I froget to Ground My Shieldite? If you forget to ground your Shieldite and it “fills up” it will simply stop working until you ground it again. Can I Wear Shieldite® At All Times? It is a good idea to wear the Shieldite® pendant during your waking hours. At night you can leave it on your night stand to receive the protection from it. Can There Be Any Side Effects From Wearing Shieldite® Or Having It In My Room? The only side effects are the sense of well-being and relief, knowing you are protected from harmful radiation. How Much Area Does Shieldite® Protect? The basic Shieldite® pendants protect the single person wearing them. Larger pyramids and other shapes can protect a much larger area. Generally you want to place larger pieces of Shieldite near the devices which produce the strongest EMFs. Please refer to the product pages for a better idea of the protection each provides. Where Do I Need To Put The Pieces Of Shieldite ® To Protect Myself? Put them next to or on top of any electric appliance you have in your home. Also place the Shieldite adjacent to such things as computers so the Shieldite is near your working area. What about the other crystals out there that claim to have EMF protection? Various crystals can have properties which can strengthen the human Bio-Field. Even though this can be a positive effect this does not provide direct EMF protection. It is the Shieldite® which has the strong properties to transmute the harmful EMF’s and provides direct EMF protection. Some other minerals/crystals out there claim to be the same (copy cats) as Shieldite but this isn’t true and at best the other crystals could have some properties that strengthen the human Bio-Field. The confusion can also happen just because another mineral/crystal looks black then it can be mistaken by people that these other things are the same as Shieldite. There are many dark minerals/crystals but all the properties are different.